Callidae never ceases to amaze me, and this winter line was no exception. Callidae's breeches in Stone are such a classic. I love this muted grey/tan look because they work in any show ring and they go with any color. The fit is fantastic, too. 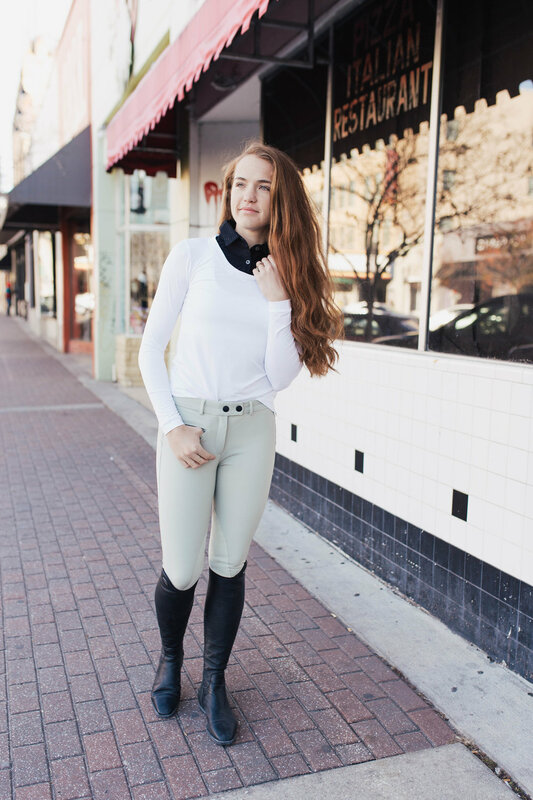 Sitting perfectly in the middle of low rise and mid rise, Callidae breeches are always super flattering. I am also obsessed with the Callidae Practice Shirt in white. It is a great style! 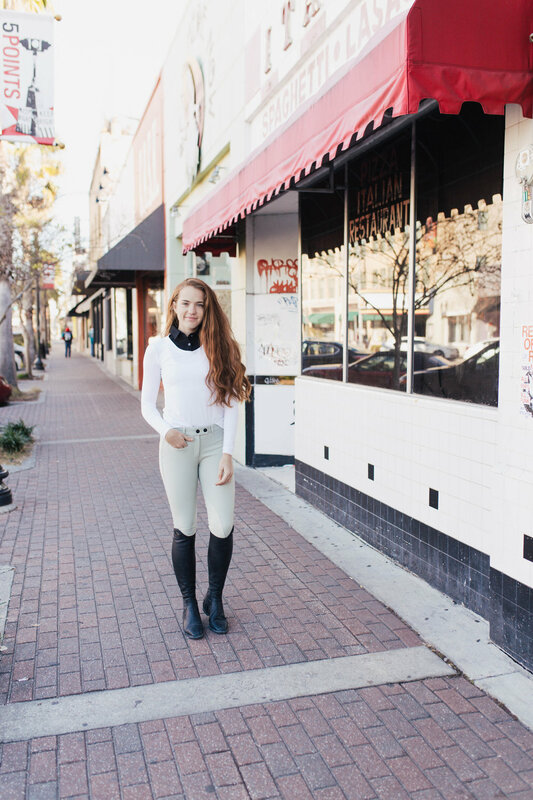 I am such a big fan of Callidae's Practice Shirts because of the innovative design of combining both the classic nature and athletic components of the sport. These shirts are so breathable and genuinely look like you're wearing two shirts, when in reality it is a faux collar attached to a stretchy tech fabric long sleeve shirt. I want to collect all of the colors and patterns of the Practice Shirt! To top it all off, I have this amazing Callidae V Neck Sweater in Bloodstone, which is a lovely deep burgundy/merlot color. 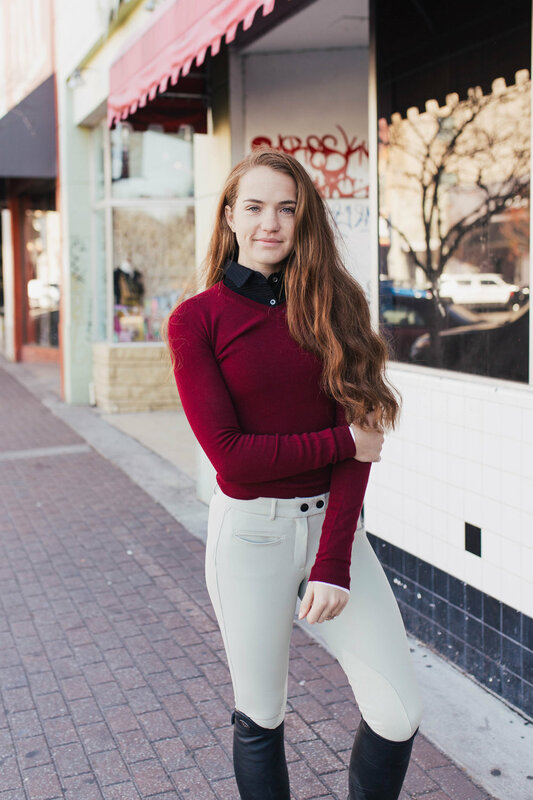 This cotton cashmere sweater seems too luxurious to wear to the barn, but it just as soft as it is durable. I feel so confident and classy when I am in my Callidae V Necks! They look good over any practice shirt or on their own! Callidae's products are absolutely worth the price tag. 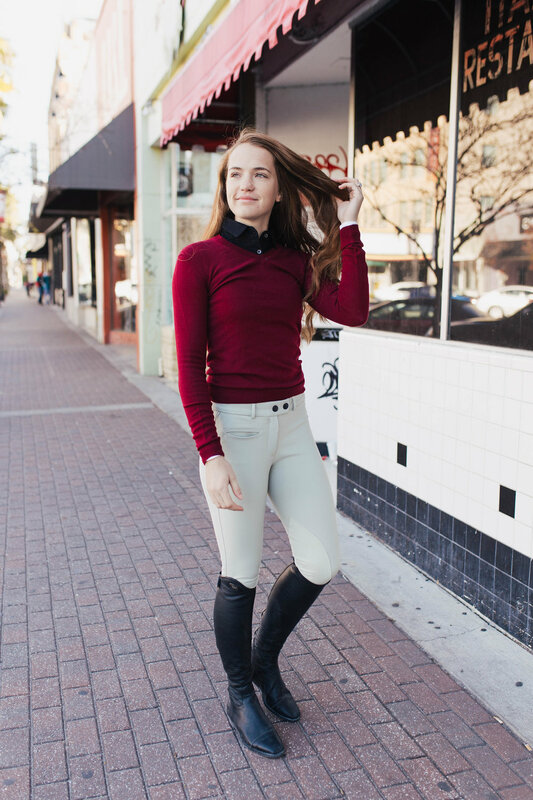 I highly recommend the breeches, Practice Shirts and V Neck Sweaters.